Traveling all around the globe, Tom C. Hall is an award-winning Stereographer, Cameraman, and Virtual-Reality Filmmaker. He is the Co-founder of Tribe of Pan, an Immersive Media Studio based in Toronto, Canada. Tom is constantly exploring how emerging technology can enable storytellers to better connect with their audiences and drive the art form into new possibilities. As a leading technological innovator, he made possible the Canadian Screen Awards nominated Sesqui Horizon: A 360 Journey, a large format 360° film experience to celebrate the 150th anniversary of Canada. 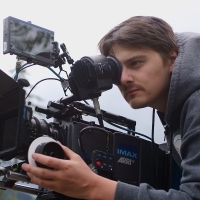 He is currently Producing The Choice VR, an innovative volumetric documentary project.